Canada had an early lead in AI with our academic institutions supporting and producing some of the top AI scientists and researchers globally, but the rest of the world is starting to catch up. Where does Canada rank today? Why is it critical to Canada’s future to remain a leader in AI? And what do Canada’s businesses, government and academic institution need to do to keep Canada atop the world stage? 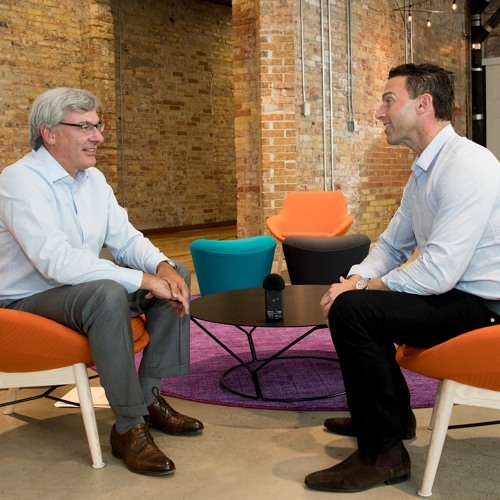 RBC CEO Dave McKay sat down with Globalive chariman Anthony Lacavera to discuss these challenges and Canada’s AI opportunity. Users who like Can Canada lead the AI revolution? Users who reposted Can Canada lead the AI revolution? Playlists containing Can Canada lead the AI revolution? More tracks like Can Canada lead the AI revolution?